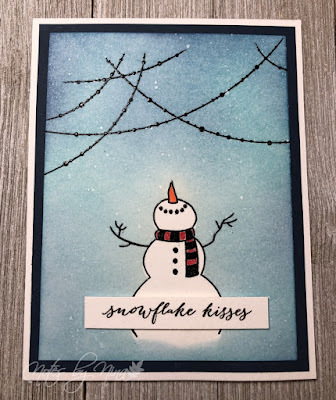 I have a quick card to post, I was so late to get cards made for my husband and son... like down to the wire. I was frustrated beyond belief because the creative juices had gotten up and ran as fast as they could out the door. I make Christmas cards through the year, how is it that I could miss these two you ask. Don't know, I always wait. I made it through and I am happy with both. This is the one I made for my son, he is artsy so I know he would appreciate the ink blending and flecks of white. 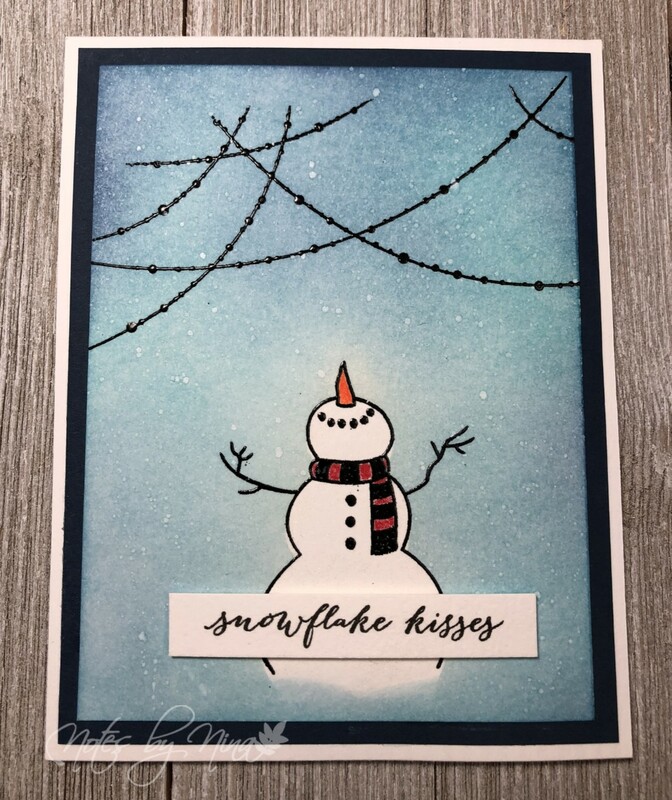 I heat embossed the string of lights or whatever they are as well as the snowman, I then masked off the snowman so I could ink blend the background which is watercolour paper. I used colour pencils for the details then used so watered down white pigment ink for the flecks of falling snow. I finished which the simply stamped sentiment popped up with foam tape. Supplies: Blue and white cardstock, watercolour paper, Penny Black - Festive Snippets and Wonderful & Jolly. Cheers all, I hope you have the most amazing of days.